It’s no secret, and it’s probably not as much trouble as you think. All you have to do is exercise regularly. That doesn’t necessarily mean lifting heavy weights, enduring one boring session after another or jogging until your legs feel like they’re going to fall off. Exercise can come in many different forms, and it’s likely you’ll find a few of them fun – or at least easy to take. Improve every aspect of your life – emotional well-being, cognitive functioning and your ability to get around and have fun. Prevent physical illnesses and mitigate the effect of those that do occur. Help you maintain your independence. Improve your mood and self-confidence. Ensure that you sleep better. 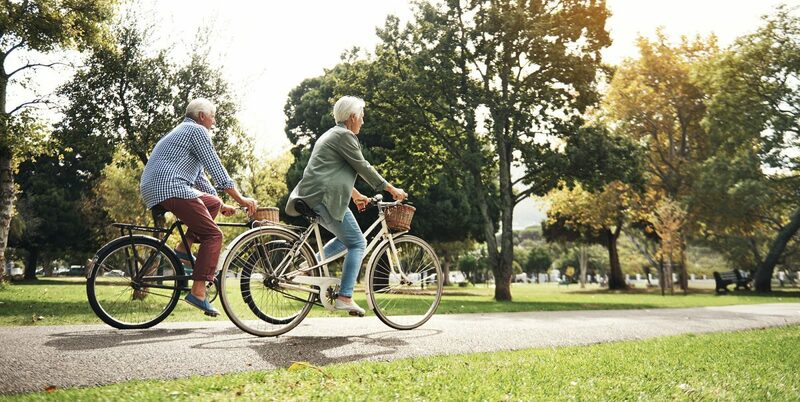 And there are so many ways to get exercise: Walking, gardening, dancing, tai chi, yoga, swimming, biking (stationary or outside), tennis/pickleball, aqua dance, H2O cardio, bowling, playing fetch with a dog (or grandchildren), various types of aerobic classes and more. The key is doing it regularly. For more information and to get started safely, talk to Stephanie Lynch at CountrySide Lakes at 386.756.3480.